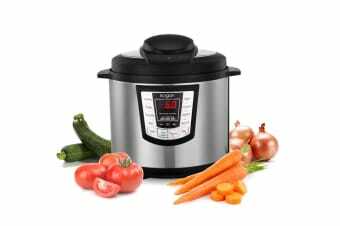 Read customer reviews of the Kogan 9-in-1 Multifunction Pressure Cooker. After a purchase, we invite our customers to leave a product review. The customer reviews for Kogan 9-in-1 Multifunction Pressure Cooker are below. A nice product that seems to work well Good value for money. Very good, we made the best curry using it. Only dislike is you can’t set your own time to cook. You have to use the preset functions. I had trouble working it so I have sent it back. I've only used it on once, but it was easy to use, quick and efficient. The headworn microphone works really well and clear. It is comfortable to wear and makes it easier to be heard while doing other tasks such as playing the piano.